Sick of my Tour de Fleece updates yet?! I do at least have some knitting to show you today, too! 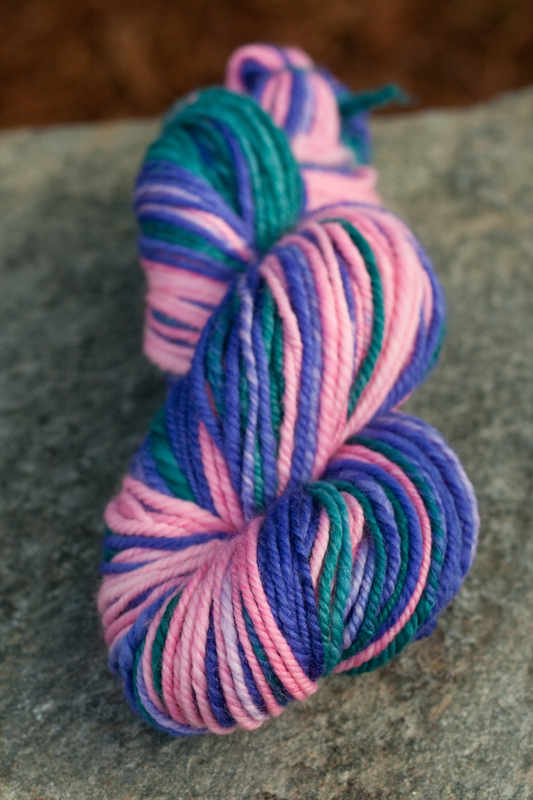 This skein will be making it’s way into the etsy shop sometime later this week along with some other handspun and a couple of project bags. 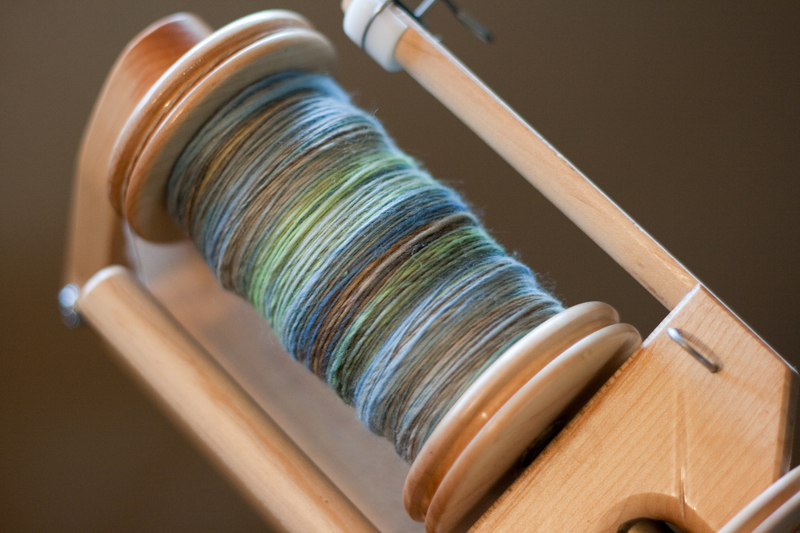 I had almost forgotten how much I love spinning Rambouillet. It has such a nice bounce to it and is incredibly soft. 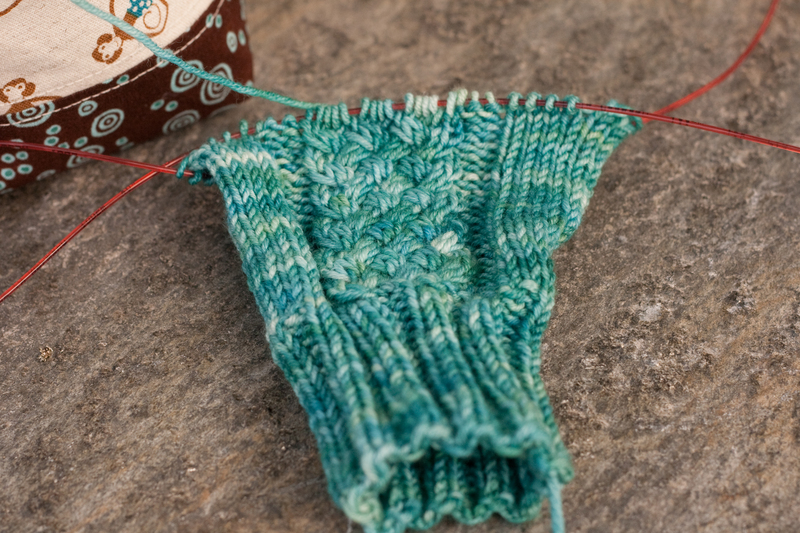 Last night I started my Camp Loopy project number 2, which is a pair of cabled mittens. I’m actually using a fingerless mitt pattern from More Last Minute Knitted Gifts, but I’m going to modify the pattern to turn them into mittens. 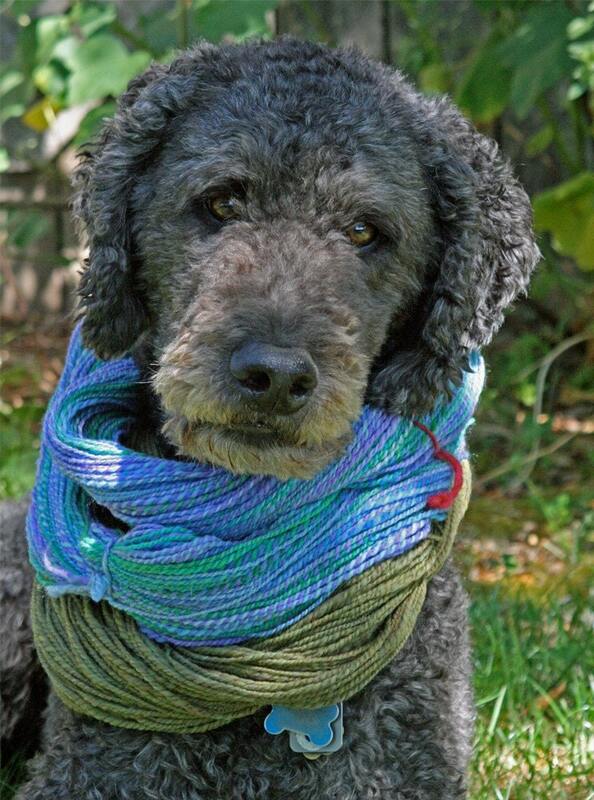 The lovely yarn is Wool Candy Biscotti Merino, which is a sport weight yarn with fantastic stitch definition. The color is a tad more blue than in the picture, and I’ve actually separated the thumb and knit a couple more inches since the photo was taken. I’ll do a post about the upcoming shop update tomorrow (tentatively scheduled for thursday) with details about what will be going up in the shop!